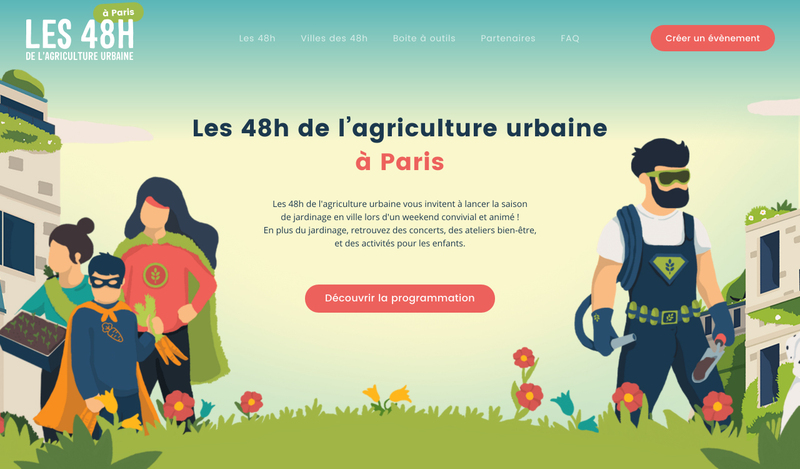 Each year the Parisian association La Sauge, organises an event called Les 48h de l’agriculture urbaine. It’s an event encouraging people to do gardening. This event is organised in many french’s cities like Nantes, Paris, or Toulouse. 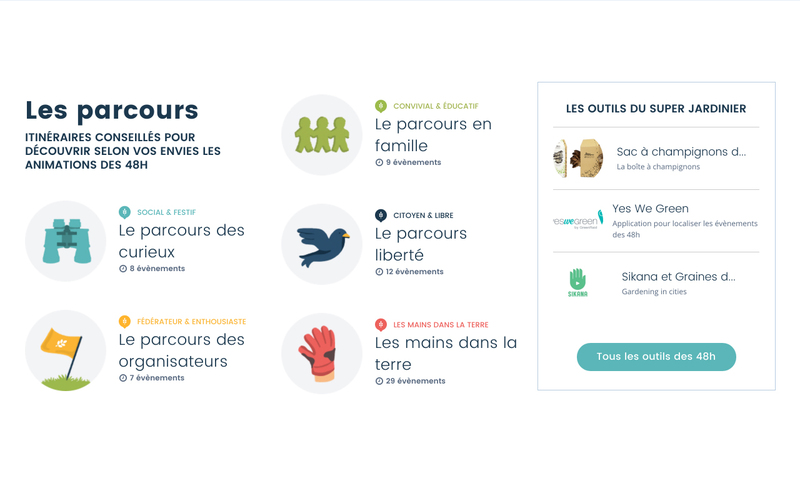 The studio Les Indiens, who did the artistic direction and the web design, called me to develop the website. 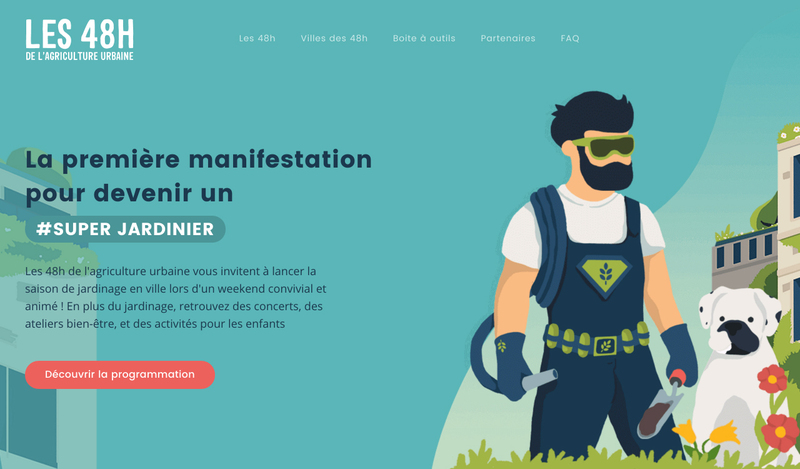 Design and illustrations by Les Indiens.